Not too long ago, ABM was just another acronym that analysts used but few marketing professionals knew what it stood for and even fewer understood what it meant. Over the past few years, understanding and adoption of the strategy have grown dramatically. Justifiably so, as ABM allows ambitious marketers to better reach and convert target accounts with a smaller budget and engage with customers from first touch to close. Gartner predicts that by 2019, 75% of B2B technology service providers (TSPs) with more than $10 million in revenue will adopt ABM as their primary market model, up from 25% in 2017. That is a massive shift, but it is not the only shift in this space. Digital is now the norm for B2B marketers. New channels like social media and new technologies in digital advertising and marketing automation have created a robust ecosystem for reaching and engaging target customers in the ways they want to be engaged. These channels have also generated an influx of customer data. Today’s customers increasingly expect personalization, so experiences that make them feel special and resonate with their specific needs are crucial. Data pulled from digital channels and CRM integration makes it possible for B2B marketers to paint a better picture of what their customers need and want, and use this within their ABM strategies. While this abundance of data provides better and more precise insights into target accounts, it can be a lot for marketers to manage and use. Enter AI. Within the last two years, AI technology has transformed ABM. AI connects companies to digital profiles across web, social and mobile channels, leveraging millions of signals and predictions to provide the best content to the customer at the exact time and place where it returns the best value. The introduction of precise targeting helps provide a level of transparency to see marketing efforts tracked through long sale cycles and across multiple touchpoints. In the past, it was nearly impossible for marketing teams to scale their efforts. Now scaling is not only achievable, but also entirely manageable. The adoption and success of ABM strategies is helping spur the collaboration of sales and marketing teams. In order to convert targets into loyal customers, sales and marketing teams must work together more continuously to reach their goals. When AI is tied to MarTech and SalesTech platforms, it can give marketing and sales teams the visibility they need to make well-informed decisions. Machine learning and AI are powerful tools that can help automate and constantly improve your account-based marketing results. AI and machine learning can optimize user engagement and generate defined KPIs including budget optimizations, to drive new opportunities for target accounts, pipeline progression, or growing existing customer revenue. The data captured is continuously scored to understand how and when customers should be engaged. It then automatically controls most aspects of user engagement delivering highly relevant, personalized ads. While this technology is powerful and yields great results for marketers, the challenge is in understanding what is driving the success of your campaigns. Which message performed best against which audiences? Which target accounts are most likely to respond to your advertisement, indicating an interest in purchase? What sequence of ads, emails, calls, web page visits, etc. are driving deal wins? Marketers need these insights to repeat and scale the results into other aspects of their business. For this reason, ABM strategies should not only focus on reporting campaign results, but also on reporting these types of insights to decode and recreate the success they are seeing in their AI-driven campaigns. The future of account-based marketing is promising. Companies are learning how to implement ABM strategies as they learn more about the benefits of targeting specific accounts with personalized messaging and working together with sales to accelerate revenue. Artificial intelligence is key to making the most of ABM and will continue to influence ABM going forward. AI’s success hinges on quality data to power the algorithms that drive them. Data is complex. There are implications in privacy rules and regulations. There are also issues around how to unpack data living in silos across marketing automation, CRM, products and customer support systems. Working to bring that data together, manage it, cleanse it, protect it and enrich it is a daunting task. Marketers need to understand how data will power the AI that will automate and optimize the cross-channel marketing touches of the future. Marketers will also need to be a leading voice in their organization on the importance of quality data, how to set a vision for the future and organize work streams to turn data into the asset it can be for B2B companies. With these considerations in mind, they can help grow and expand the power of ABM for the future. 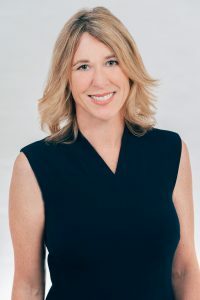 Jennifer Toton joined AdRoll Group in December 2017 as VP of Marketing of RollWorks, AdRoll Group’s B2B division. She is responsible for brand building, demand generation, content marketing and social media. Her team’s mission is to empower B2B marketers to drive growth by making meaningful connections with the right people, wherever they are online. Prior to joining AdRoll Group, she owned strategy, GTM, customer positioning, messaging and buyer’s journey for Autodesk’s $500M ARR AutoCAD product line.